GLM’s inspectors act as the eyes and ears of the project, verifying all construction work is in place as per the plans and specifications prior to the release of funds. Q: What is the difference between a hard cost and soft cost? A: Hard costs are items such as lumber, concrete, windows, cabinets, etc. that can be inspected on site during the construction phase. 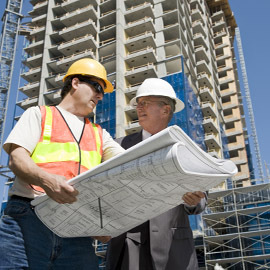 Soft Costs are items such as overhead, supervision, profit, permits, etc. that cannot be inspected while on site. 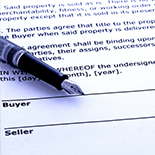 In this event, the lender must make the decision as to what disbursements should be made during the draw process. Q: At what resolution should I set my digital camera? A: Remember to set your camera’s resolution to the lowest possible level (such as 300 dpi) or set the email setting to Standard to ensure easier upload to GCI’s website. Q: The property I have been assigned to inspect is locked and I am unable to reach the Borrower or Contractor to gain entry? A: If you cannot access the property you are inspecting, call GCI Customer Service as soon as possible so that we can contact the lender with a delay notification and/or get and alternate contact number. 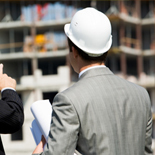 Q: How do I negotiate my inspection fees? A: Please contact Granite Construction Inspections Recruiting Department at 800-919-8903 to negotiate your fees for individual project inspections. Please note that negotiations MUST be agreed upon PRIOR to the completion of any given inspection. Changes in fees will not be honored unless agreed upon by BOTH the inspection company and GCI. NOTE: If you should run into any difficulties completing an inspection don’t forget to call GCI Customer Service at 800.919.8903 or Contact Us.